I’ve mentioned the powerful impact water can have on your weight loss. Here’s a great way to ramp up those healthy benefits even more. 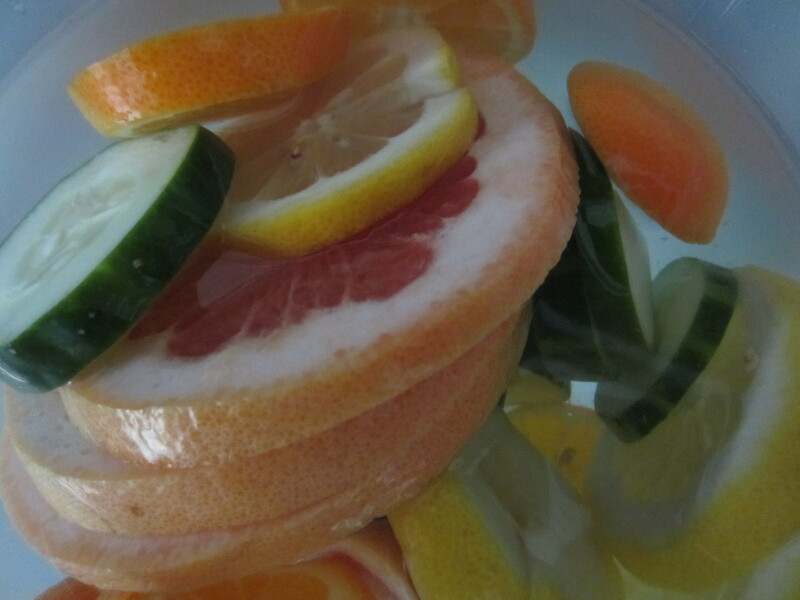 Make Fat Flush Water. 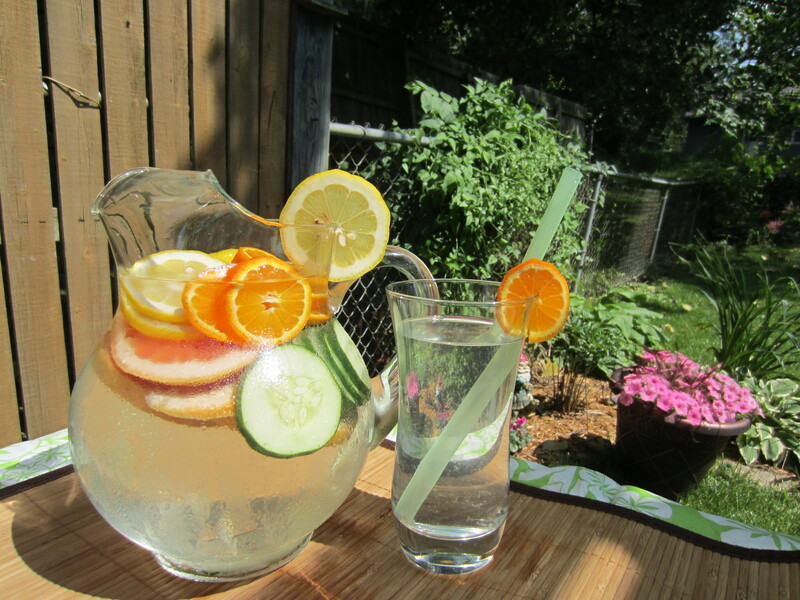 Fat Flush Water is simple to make and tastes great. Besides its main ingredient of water, the Fat Flush contains grapefruit that’s loaded with vitamin C to help your body turn fat into fuel. The tangerine increases your sensitivity to insulin, stabilizes blood sugar, and stimulates genes to burn fat. Cucumber helps you feel full and acts as a natural diuretic, which means less bloating and water retention. And lastly, you can add peppermint, which is not only refreshing but also promotes better digestion and stomach calm. Make a big pitcher of Fat Flush Water every morning. The longer it sits, the better it will taste. Slice: 1 grapefruit (or lemon…or both), 1 tangerine, ½ cucumber, and add 2 to 3 mint leaves. Add to a water pitcher with ice and let set for about an hour. That’s all it takes! You can tweek this as much as you’d like. If it’s too strong for you, use half the fruit. If it’s too sour, skip the lemon. It’s completely up to you, because using the fruit as a flavor enhancer gives you the nutritional benefits for hardly any calories. Drink as much as you like/can! Remember, the healthier you are, the easier it is to lose weight in a healthy way. Your body is designed to sustain itself, so if it feels like there’s no danger, it can let go of those extra pounds it’s holding onto for safe keeping. To read more about the weight loss benefits of water, see To Start…Drink More Water.